Dr. Ken Bailey had surgery today in Pittsburgh. His wife Mickey is dealing with many health issues, and (adult) daughter Sarah, currently home with them in New Wilmington, must also have surgery this week. Rev. Bud Green continues his stay at UPMC Mercy in Pittsburgh, undergoing rehab for issues related to his spine and nervous system. His son Jordan, meanwhile, just graduated from Army boot camp. Please pray for the spouses of several of our pastors, who are dealing with health issues on several fronts. TE Bob McCreight offers a meditation on scripture during the closing worship service of our Fall 2014 Pastor Retreat. Dr. Kenneth Bailey was, for the fourth time over the years, the retreat presenter, offering an introduction to the topic of his forthcoming book: “The Good Shepherd: A Thousand Year Journey from Psalm 23 to the New Testament.” These retreats represent a long-standing commitment of the presbytery to provide semi-annual spaces for our Teaching Elders and Commissioned Ruling Elders to worship, learn, and fellowship together. The Villa Maria Retreat Center, in western Lawrence County, provides the space for our gatherings. 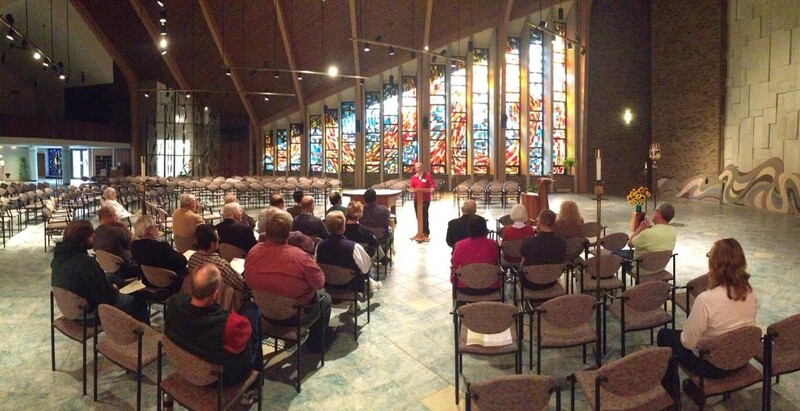 Pictured is their beautiful Magnificat Chapel – a space for worship much beloved by many of our pastors. 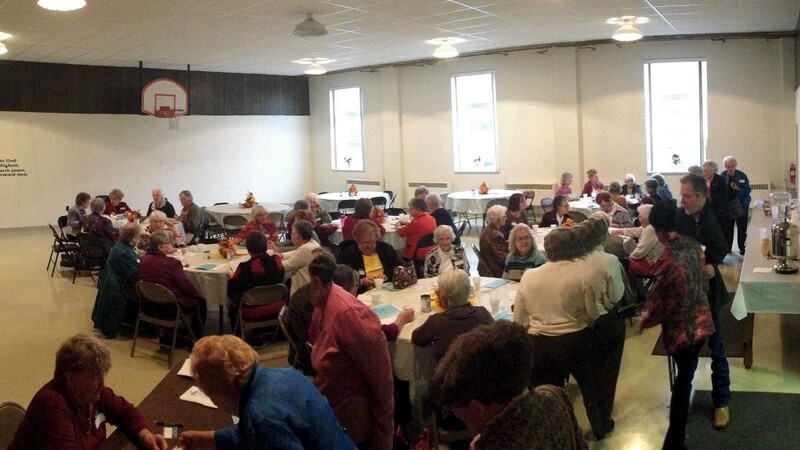 The Presbyterian Women of Shenango Presbytery enjoy a gathering of fellowship before morning worship at the recent Fall PW Gathering at Ebenezer Presbyterian Church north of Grove City. The spring PW gathering will be April 18, 2015. Watch for more details about “God’s Girls”! Please join the Presbytery’s Christian Education Committee for Educational Ministry in a New Season: Effective Tools for a Time of Change led by Andrea Hall, certified Christian Educator. Tuesday, December 2, 2014 from 5:00 – 6:30 PM (conveniently held immediately prior to the presbytery meeting) at Hillside Presbyterian Church, 2 N. High Street, Greenville, PA. Dinner catered by Carini’s Restaurant. ALL are welcome to attend. Reservations required for dinner by November 21. Register online or by emailing Andrea Hall at andreabhall@gmail.com. Every season comes with its own unique set of challenges, but every season is also beautiful – provided that you are prepared for it! Join us as we prepare for this new (and beautiful!) season of ministry that we are facing. Westminster College has a 4-year PCUSA Young Presbyterian Scholarship of $74,000 ($18,500 per year) for qualified students in PCUSA churches…however, the qualified students must be nominated by their church (pastor, youth director, session). To read more about this scholarship, click here (page also includes a link to the nomination form). will be at the MCAR Arts & Craft Show on Sunday, November 2 at 9:00 AM (850 N. Hermitage Road, Hermitage, PA) selling Walking Tacos & French Fries for $2, Pop & Water $1, Melted Cheese $.50.